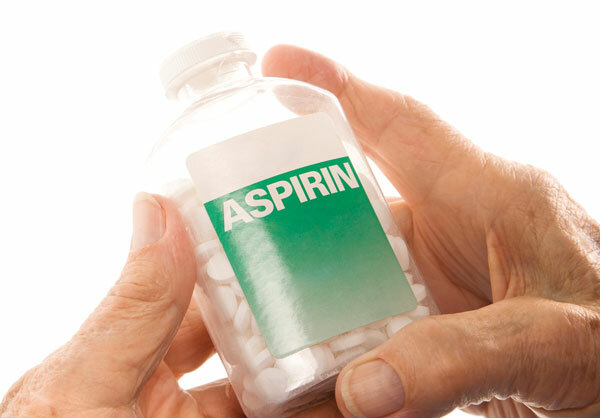 Does aspirin stop a heart attack? Q. Should I take aspirin if I think I'm having a heart attack, and what kind of aspirin should I take? A. First, what symptoms indicate you might be having a heart attack? The main symptom is a squeezing, tight sensation in the middle of the chest that can travel up into the jaw and shoulders, and even down the left arm. Along with the pain you may begin to sweat and to feel weak, like you might pass out, and be short of breath. While other conditions besides a heart at-tack can cause similar symptoms, you need to take such symptoms very seriously. First, call 911.